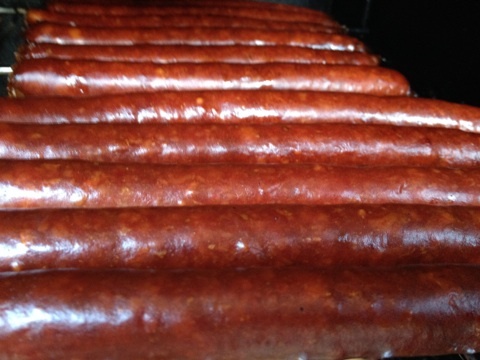 April | 2015 | sausageheavenoutdoors Enjoy making homemade sausage, Tasty way's to BBQ, smoking meats and poultry. See how northern Minnesota was settled and the life early homesteader's lived their lives and more!! I went up to the North Shore last Thursday to try my luck for some Loopers and Steelhead. Met up with my brother and his friend Joel. Both worked for the Duluth Police Department and are now retired. All of us have fished the North Shore since the early 60’s for steelhead and loopers [kamloops rainbows]. Chilly air greeted us early in the morning even though the sun had come out. As the day progressed, it became warmer, and turned out to be a nice day. Many of the areas we fished were small areas where we normally do well. Joel with his nice 5 pound Looper. Often time Looper and steeelhead can be caught right near the rivers mouth. 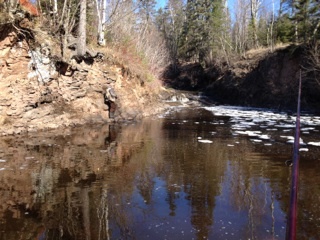 Larger pools like this one can hold many spawning trout. 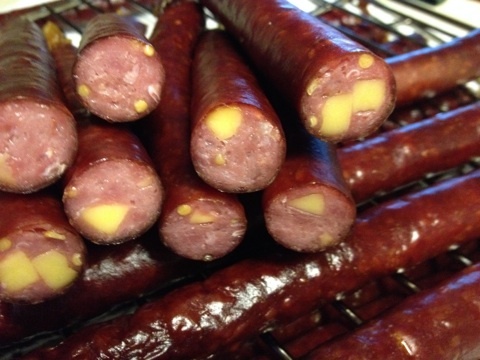 One of many reasons many tourists travel and visit spots on the North Shore. Time to head back soon. As I reported earlier, fishing is picking up on the North Shore with fish coming in the lower North Shore streams to spawn. Rain is still needed however. I will still be reporting conditions as I get reports, however you can also get some great information from the DNR. Here is their latest report. Streams along the lower shore remain low and clear. Water temperatures have been in the mid to upper 30’s in the mornings and reaching low 40s by the afternoons. Fishing pressure has been light to moderate. Interviewed anglers have done well this first week, landing 88 steelhead, 23 Kamloops, and 4 coho salmon. Along the middle shore, rivers are at low to moderate flows with water temperatures reaching the low to mid-40s in the afternoons. Fishing pressure has been light with few fish caught. Interviewed anglers reported catching 2 steelhead and 1 Kamloops [looper]. 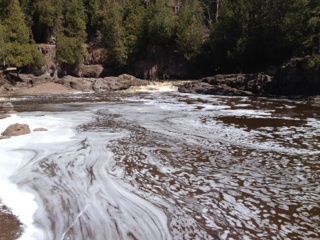 Along the upper shore, conditions have improved enough within the past few days to allow anglers to begin fishing the rivers near Grand Marais. The medium to large rivers are maintaining mostly moderate flows with moderate turbidity, but the smaller rivers have low flows and some still have some ice coverage. Afternoon water temperatures have ranged from 37-39 degrees. Angling pressure has been light and interviewed anglers have only reported catching one brook trout. Trap totals through April 17th are 158 steelhead and zero Kamloops at the Knife River, and 462 Kamloops and 56 steelhead at the French River. An updated report will be posted on Monday. 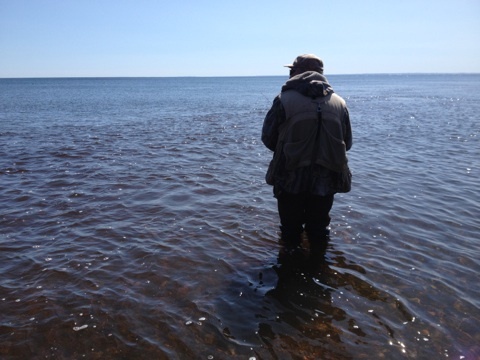 This updated report can be seen here http://www.dnr.state.mn.us/areas/fisheries/lakesuperior/management.html or by calling the DNR office at 218-525-0853 and selecting 1 for the updated fishing report. One of my favorite time’s of the year. Conditions are ripe to give trout fishing a try anywhere on Minnesota’s 3,800 miles of trout streams after fishing opens Saturday, April 18, on inland trout streams statewide. The DNR has purchased more than 38 miles of angling easements since 2009 that grant public access to fishing. In total, the DNR owns 515 miles of trout stream easements, and another 1,228 miles flow through public land such as county, state, or federal forests and parks. Stream conditions should be ideal for fishing this spring. Trout populations have increased for a number of reasons, including habitat improvements made by the DNR, local governments and agencies, conservation partners like Trout Unlimited, and conservation-minded people. The possession limit for brook, brown and rainbow trout, and splake, is five combined, with not more than one longer than 16 inches. 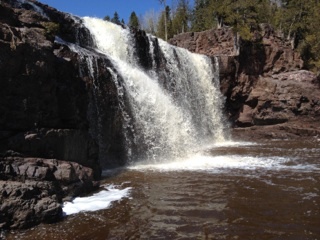 In Lake Superior streams, different regulations exist below posted boundaries, and anglers should check for special regulations on the streams where they plan to fish. 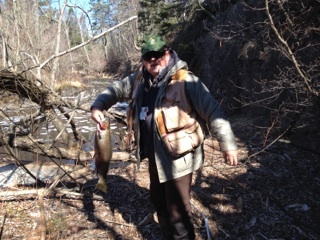 For more information on trout fishing, see http://www.mndnr.gov/fishmn/trout. For information about southeastern Minnesota streams, call the Lanesboro area fisheries office at 507-467-2442, and for information about streams in the rest of the state, call Nerbonne at 651-259-5205. Don’t forget to get a trout stamp.